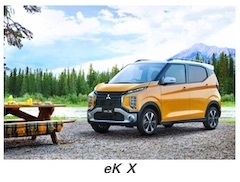 TOKYO, Mar, 28 2019 - (JCN Newswire) - Mitsubishi Motors Corporation (MMC) launches the new eK Wagon height-wagon keicar, the first full model change in six years, and adds a new eK X(1) crossover SUV variant to the lineup. Both models go on sale today at MMC dealerships throughout Japan, with manufacturer's recommended retail prices ranging from Yen1,296,000 to Yen1,506,600 for the eK Wagon and from Yen1,414,800 to Yen1,765,800 for the eK X (incl. 8% consumption tax). Planning and development management of the New eK Wagon and eK X have been the responsibility of Mitsubishi Motors and Nissan Motor joint venture NMKV. With all-new platforms, engines, CVTs and other major components developed and produced through new processes, the new models offer a new kind of height-wagon keicar. 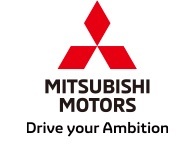 They bring together Mitsubishi Motors' 60 years of keicar knowhow and Nissan Motor's advanced technology. 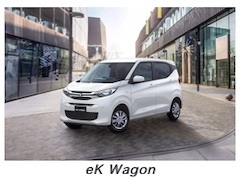 eK Wagon champions the customer's "desire to seek out new destinations with greater reassurance", offering easy-to-live-with qualities that stem from its easy-to-drive nature and improved comfort. These qualities are augmented by MI-PILOT(2)(3) single-lane driver assistance for highway driving, a first on a MMC model, and other advanced technologies. eK X is a crossover model that incorporates the SUV taste distinctive to MMC. Its principal features are a powerful SUV-taste design that embodies a true Mitsubishiness and the essence of the "Drive your Ambition" global corporate tagline, and a new hybrid system that delivers powerful acceleration and low fuel consumption. It responds to the wishes of adventurous customers seeking new challenges. (1) Named from the way it crosses height-wagon proportions with SUV powerfulness. (3) Advanced Comfort Package (MI-PILOT, electric parking brake, MI-PILOT steering wheel button) is a factory option available on all eK Wagon and eK X trim levels, except the M.